-- Select a Size/Color -- 6 oz. Keep your pets free from additives and just Bare it all for them with Bare Bites! 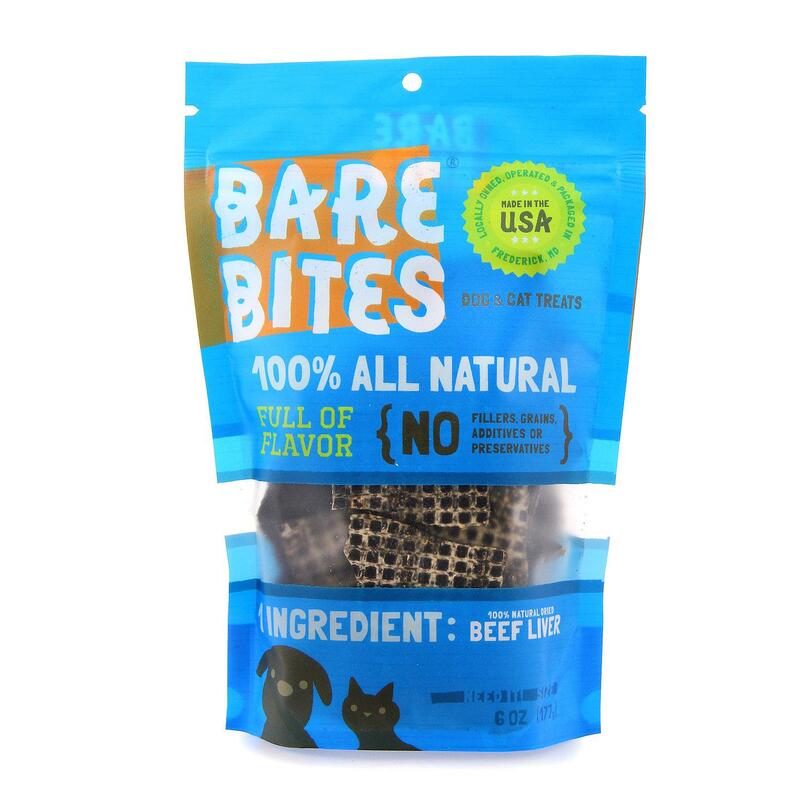 Our Bare Bites Beef Liver Dog and Cat Treats are just liver, plain and simple ... but incredibly delicious. We dare you to try them on your pets. 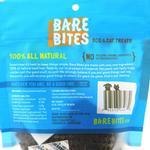 Bare Bites has dared to go bare ... and it works! There are no funny chemicals or fillers in this pet treat... just 100% USDA, human grade, dehydrated, all natural beef liver. Having just one ingredient means you can be assured that this product is gluten and grain free. There are no additives. No Preservatives. You can also buy these with confidence as they are made with care in the USA (in Frederick, MD) from USDA beef. We love the fact that these liver wafers can be snapped into smaller pieces to suit the size of your pet. 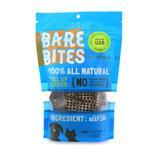 This means they can make a nice little training treat and are perfect for cats and smaller dogs. The big dogs will love them too! This high-protein healthy snack is great for dogs and cats with allergies and for pets needing to watch their weight. Thanks to its filler-free formula, there are no empty calories or mystery additives. Posted On 08/30/17 by Denise L from Rosedale, NY Yes, Denise L recommends this product! Posted On 12/20/16 by Kelli K from Lacey, WA Yes, Kelli K recommends this product! Our dog loves these treats! He has a sensitive tummy and these don't upset his stomach at all (which is great for our olfactory senses). Will definitely buy them again when we run out. Posted On 11/09/16 by Marlena L from , TX Yes, Marlena L recommends this product! Posted On 07/25/16 by Kelly B from Bethesda, MD Yes, Kelly B recommends this product! The best. Great for training. They love them. Posted On 06/15/16 by Heidi G from Woburn, MA Yes, Heidi G recommends this product! Liver is favorite of my dog. This isn't the dried cubes we're used to. This is more like a cracker. It's a hit! Posted On 01/14/16 by catherine s from , FL Yes, catherine s recommends this product! Great treat, Dogs love it! Seriously my dog is obsessed!! Posted On 10/16/15 by Julie S from , PA Yes, Julie S recommends this product! LOVE these healthy treats for our fur baby and he is obsessed with them!! Love Baxter boo! They got here lighting quick! Posted On 03/15/15 by love2sun from New Castle, PA Yes, love2sun recommends this product! I bought these for my dog when we were on vacation last year, when they were gone I had trouble locating them. So glad I found baxterboo....my doggie has her yummy treats again! My dog is 12 years old and has no problem eating them. Posted On 12/15/14 by gladys c from Alpharetta, GA Yes, gladys c recommends this product! Always a hit with our families dogs. QUALITY!!!! Posted On 03/10/14 by Pauline from San Francisco, CA Yes, Pauline recommends this product! Great product. Made of just one ingredient and my Malteses love them. The product is not oily, so I can throw one in my pocket before a walk, and they snap into pieces easily, which is great for walks or when breaking them up to stuff into interactive dog toys/balls. I think my last order included multiple bags just to stock up! Posted On 01/14/14 by Karen R from Annapolis, MD Yes, Karen R recommends this product! Yesss! Good job on Baxter Boo for picking up this product. I won a bag of these in a holiday gift basket and my dogs went crazy for them. Since then I have been trying to figure out where to get them. They are all natural so my über sensitive collie can finally stop itching after treat time. Thanks Baxter Boo and my collie Roxy thanks you for the Bare Bites!!! Great quality dog clothing and user friendly website!